The festive season is a time of giving and celebration, but many forget the impact consumerism has on the environment this time of year. That is why, at Koala, we have pledged to try our best to make every Christmas a green one. We asked regular collaborator Morgane from Under the Moon Elopements to give us the hot tip on making celebrations more sustainable, without sacrificing on the fun! A recurring habit of separating waste into paper recycling, commingled recycling and general waste will be limiting the number of bags going to landfill this Christmas. However, cutting down on waste doesn’t start post-Christmas, in fact we can make small changes in planning our festivities that will help immensely. Using sustainably sourced elements helps to create a beautiful atmosphere in your home and at your table, without sacrificing the environment! You can mix recycled, up-cycled and found items with new pieces. With a visit to the op-shop you’ll find pre-loved sets of crockery, linen napkins and other treasures. 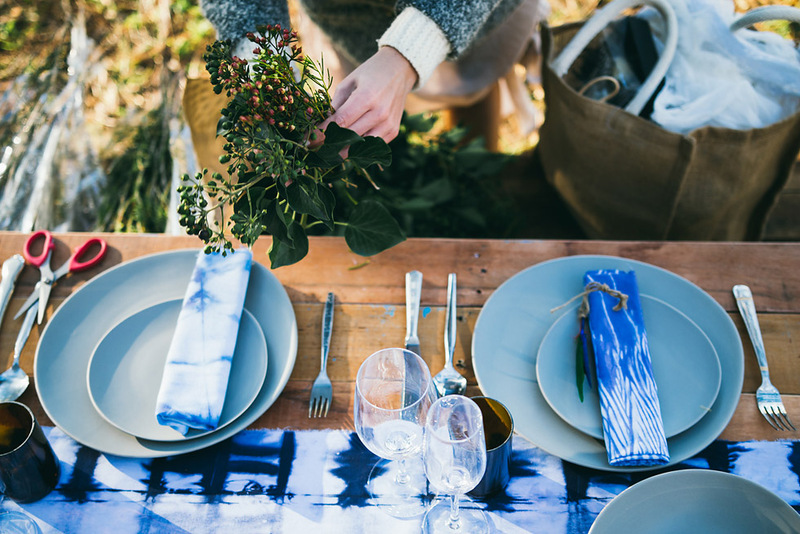 You can also choose to revamp older table cloths and runners by dying them with a natural dye. Choose locally grown, chemical and pesticide-free flower and plant arrangement, and support small businesses where you can. You can easily use foliage and flowers sourced from Australian growers by talking to your local florist and asking them. Or just go out in your own backyard (if you are in the city, this will give you an excuse to go on a day trip) and forage your own flowers in the wild. 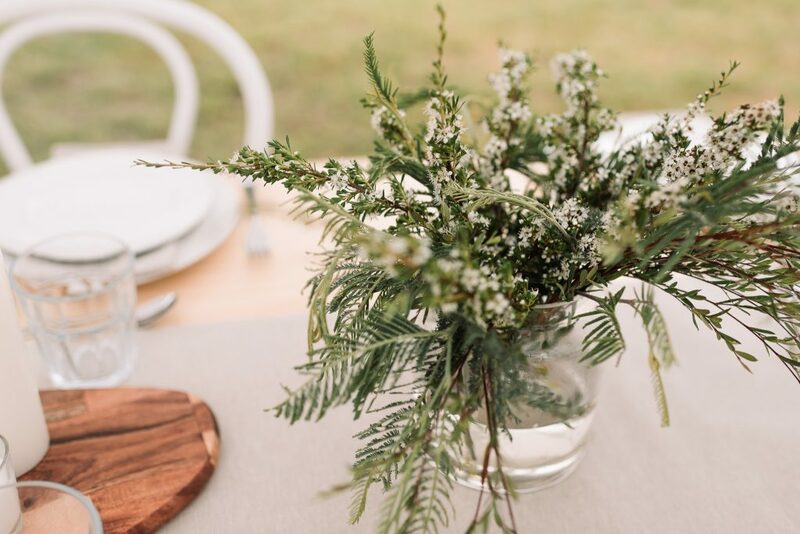 The good thing about using Australian grown natives, is that they will last longer, so you can enjoy your bouquets beyond Christmas! To make your own foraged Christmas wreath, read this handy tutorial by Under the Moon vendor Bec from This Simple Gesture. Cook with seasonal ingredients and products by visiting your local farmer’s market and supporting local producers. If you are organise a big dinner, try to limit waste by composting the scraps, and donating any good leftovers to OzHarvest or deposit the compost at your closest community garden! Don’t feel like cooking? Hire a mindful caterer in your area, like Dan the Man. 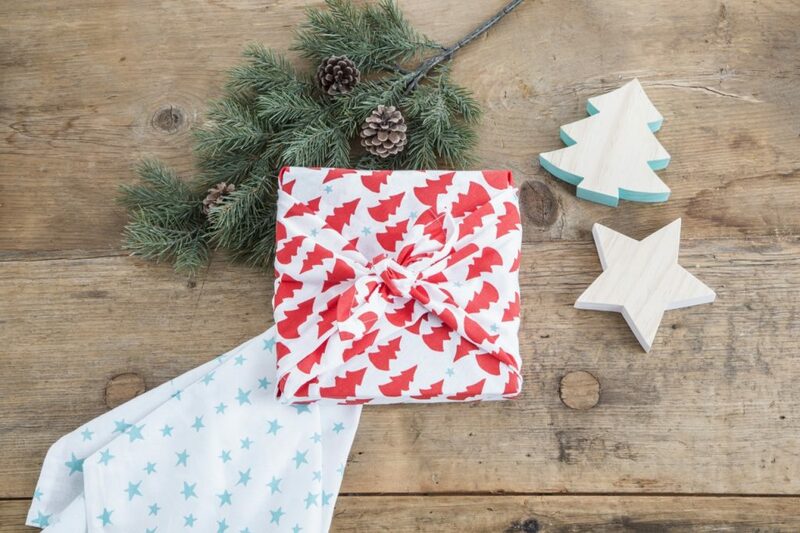 Our final tip is to stop wrapping your presents in single use paper and go paperless – giving your fabrics a second-life. Try wrapping your gift with the Japanese Furoshiki method. And if you’re still one of the few people to write holiday cards religiously, it might be time to switch up the habit and start using electronic holiday cards or at least make sure you are using recycled paper instead.